For this section, I'll assume: (1) You have nothing other than your two healthy ears to assess your listening room's acoustical signature; (2) unless otherwise noted, you are running signal through nothing other than your 2 subs; (3) you have a collection of applicable test signals sufficient for you to determine at various stages the nature of the sound you perceive at the listening position and how the room is affecting that sound; and (4) all appropriate, preceding tasks necessary for calibration of the rest of your audio system have already been accomplished. Note: If you do have at hand appropriate gear capable of making accurate time or frequency domain measurements, feel free to use it as/when needed. 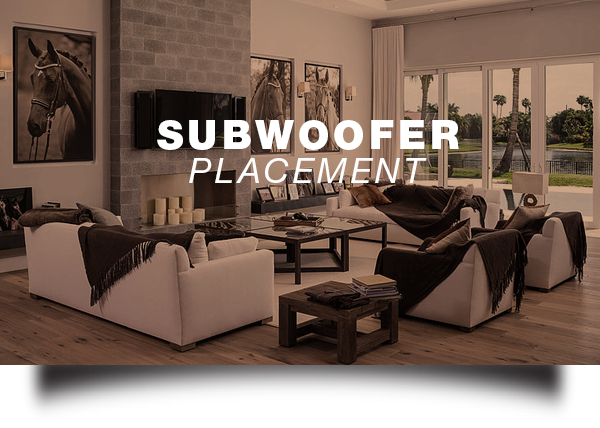 I'll be treating the topic of subwoofer placement based on in-room response measurement techniques more in-depth in Part II of the Place For Bass. 3. Adjustment of phase between subs & mains. 5. Subwoofer gain matched to that of the rest of the system. “Together with Sonos, we assessed our initial visual identity and determined that we needed to push harder to signal Sonos' leadership, relevance, and dedication to the music experience.